How can fear affect overall health? And how can Buzzy® help? Needle phobia is an extreme fear of medical procedures involving injections or needles. For most people who have this fear, it develops around age 4 or 5 with a bad immunization experience. Additionally, about 3-5% of women and 1-2% of men have a genetic predisposition to getting light-headed or fainting (ie vasovagal syncope) in response to needle procedures. While this can lead to an avoidance or fear of needles, it starts out as physiologic response first. In 1995, the incidence of adult needle phobia ranked at 10%. A study in 2012 found a that numbers had risen to 24%. Similarly, a a 2012 survey by Target found 23% of those who didn’t get a flu shot avoided it because of the needle. For children, the incidence changed from 25% in 1995 to 63% in 2012 — 252% increase in less than 2 decades. Needle phobia can have some disturbing side effects. Our NIH research showed children with high needle fear were 2.5x less likely to start their HPV series than those with low fear. Fear of needles is a barrier to health. Needle phobia affects personal and public health in profound ways. are non-compliant with vaccines due to needle phobia. fear needles enough to take risks with their health in regard to travel vaccinations. Feel a fear reaction every time they inject. Protecting anyone from life-long needle phobia must start from their first memorable experiences with needles. Even with children who are pre-disposed to fainting, other factors play an important role in the development of a health-threatening phobia. If parents and professionals intervene early on in children’s lives, it can help protect them from developing this health-threatening condition. The more vaccines we give in early childhood, the more opportunities for traumatic memory and association with doctors. As we add more vaccines, we MUST add protective ways of decreasing the negative reaction to healthcare. Needle pain management is one of the most effective interventions. During the first encounters with needles, needle pain management and distraction can protect the child from traumatic experience associated with medical procedures and the clinical environment and experience, and prevent the child from developing anxiety and even phobia later in her life. 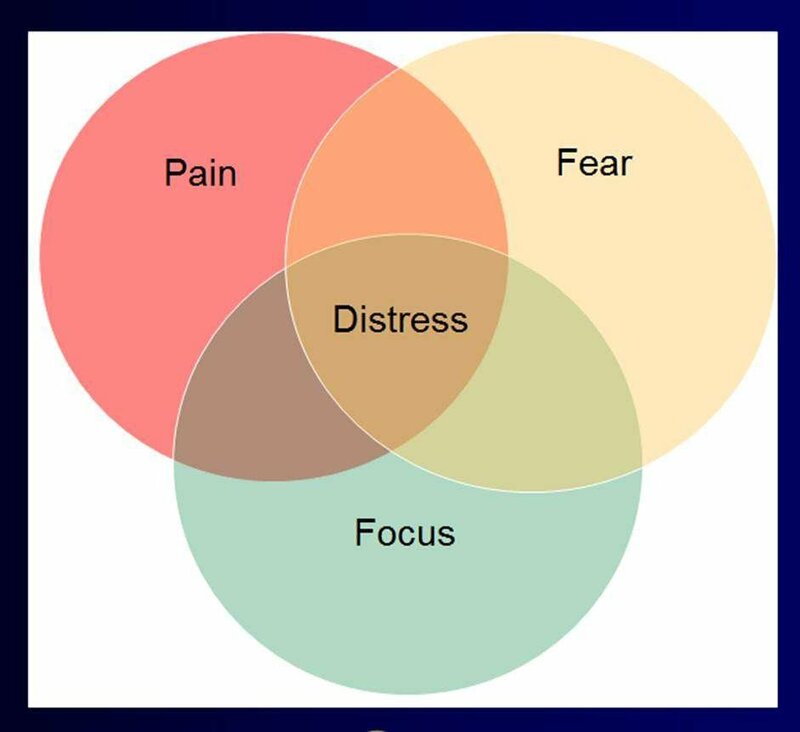 The best interventions deal with both pain directly as well as fear and focus. Learning to distract oneself from pain is a lifelong coping strategy. How Do We Treat Needle Phobia? There's a variety of ways to help prevent needle phobia from developing, and to ease the effects of needle phobia. Distraction is an incredible tool to mediate both fear and pain in needle procedures. Numerous studies show the effectiveness of distraction in reducing pain and negative emotions during injections. Physical ways to reduce needle pain include Buzzy®, topical anesthetics, and alternative injection methods like J-Tip. For a breakdown of these methods by effectiveness and cost, check out our value analysis. According to clinical research, Buzzy® Pain Relief can reduce IV needle pain by 50%; some studies have looked at both pain and fear. Used with DistrACTION® Cards, Buzzy® can almost completely eliminate pain (0.53 on a 10 point scale, Inal S.). The physiology of cold and vibration, called Gate Control, naturally blocks out the competing stimulation of pain. Controlling as many aspects of a medical visit as possible is one way to control your fear of needles. As a byproduct of developing Buzzy, Dr. Baxter realized the abrupt rise in needle fear, and constructed the multimodal model of pain/fear/focus reduction to comprehensively address the problem. In addition to TEDx and TEDMED talks about the causes and consequences of needle phobia, Dr. Baxter presents research on the subject and writes scholarly articles. Contact us directly if you are interested in the subject, have a solution to share, or plan a research study. Dr. Anna Taddio and her group in Canada do a marvelous job of creating guidelines for improving vaccination pain(1) every 5 years. For the 3-12 year age range, the 2015 guidelines recommend topical anesthetics with strong support, and a vibrating cold device, cold spray, acetaminophen, and ibuprofen with weak research support. Breathing with a toy or bubbles, verbal video, and music distraction also have weak research support. As of 2019, new research has changed some of that. 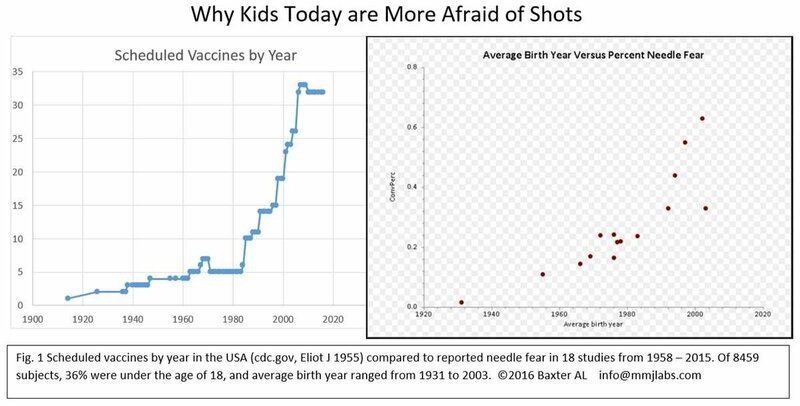 Here is the most current data on reducing vaccine pain and fear for the 4+ age range. They’re old enough to remember, so reducing medical trauma matters. Many of these techniques are applicable to adults, too. Pain, expected pain, and fear are highly correlated. (2, 3) Addressing both pain and fear is synergistic for relief – more than the sum of its parts. (4, 5) To prevent or treat most needle anxiety, addressing both pain and fear while changing the focus during a procedure is the best practice. It’s not just ANY topical anesthetic cream – only EMLA (lidocaine + prilocaine) has been studied for immunizations,(6) with almost all studies in the infant age range. While the creams may have similar efficacy for drawing labs, vaccines hurt more: the studies should be considered separately. Prescription EMLA not only penetrates more deeply than LMX,(7) the effect lasts up to 4 hours, while 4% lidocaine wears off. For pain relief, EMLA must be on at least 60 minutes. There is only one single immunization study in the 4-6 year range using EMLA compared to placebo, and it found 61% pain reduction. (8) A Danish study in 12 year olds found no difference. The infant data should contribute some strength, but in the 4-6 year range the application of creams for an hour can raise anxiety which increases pain. The most groundbreaking new work here is the degree to which parents influence their child’s fear. Campbell and Pillai at York University have followed preschool children’s behaviors during vaccines since birth, and found that “caregiver behaviors during vaccinations are … critical to both child pain coping responses and outcomes in the short- and long-term.”(18) For older kids, several studies show that Buzzy reduces immunization anxiety. (19) To best control fear, though, since post-traumatic stress is heavily influenced by parent’s signals,(20) parents need to get a grip. Tips: be warm but no-nonsense, and praise the child’s effort at coping while reinforcing that vaccines keep them safe. We do know that active distraction is better than passive, but there currently is not evidence to recommend bubbles over DistrACTION cards or Virtual Reality – probably iPad research will end up being the best. We really need to know. For adults already afraid, using a pain reliever reduces fear by half after three experiences. Adding distraction probably helps more, or faster, but hasn’t been studied. Tips for teens actually often work well for adults. Amy Baxter MD has been a fellow of the American Academy of Pediatrics and the American College of Emergency Physicians, and is a Clinical Associate Professor of Emergency Medicine at the Medical College of Georgia Augusta University. Since 2016 she has been the full time CEO of Pain Care Labs, making external neuromodulatory over the counter pain relief devices Buzzy and VibraCool. She has advocated for humane vaccination with ZDoggMD, at TEDx and discussed her research at TEDMED talks, among others. To date, Buzzy has been used to block pain from over 31 million needle procedures. 1 Taddio A, McMurtry CM, Shah V, et al. Reducing pain during vaccine injections: clinical practice guideline. Cmaj. 2015 Sep 22;187(13):975-82. 2 Windich-Biermeier A, Sjoberg I, Dale JC, Eshelman D, Guzzetta CE. Effects of distraction on pain, fear, and distress during venous port access and venipuncture in children and adolescents with cancer. J Pediatr Oncol Nurs. 2007 Jan-Feb;24(1):8-19. 3 Cohen LL, Blount RL, Cohen RJ, Schaen ER, Zaff JF. Comparative study of distraction versus topical anesthesia for pediatric pain management during immunizations. Health Psychol. 1999 Nov;18(6):591-8. 4 Baxter L. Common office procedures and analgesia considerations. Pediatric clinics of North America. 2013 Oct;60(5):1163-83. 5 Inal S, Kelleci M. The Effect of External Thermomechanical Stimulation and Distraction on Reducing Pain Experienced by Children During Blood Drawing. Pediatr Emerg Care. 2017 Sep 5. 6 Shah V, Taddio A, McMurtry CM, et al. Pharmacological and Combined Interventions to Reduce Vaccine Injection Pain in Children - a Systematic Review and Meta-Analysis. Clin J Pain. 2015;31((Suppl 10)):S38-S63. 7 Irsfeld S, Klement W, Lipfert P. Dermal anaesthesia: comparison of EMLA cream with iontophoretic local anaesthesia. Br J Anaesth. 1993 Sep;71(3):375-8. 8 Cassidy KL, Reid GJ, McGrath PJ, Smith DJ, Brown TL, Finley GA. A randomized double-blind, placebo-controlled trial of the EMLA patch for the reduction of pain associated with intramuscular injection in four to six-year-old children. Acta Paediatr. 2001 Nov;90(11):1329-36. 9 Cohen LL, MacLaren JE, DeMore M, et al. A randomized controlled trial of vapocoolant for pediatric immunization distress relief. Clin J Pain. 2009 Jul-Aug;25(6):490-4. 10 Cohen Reis E, Holubkov R. Vapocoolant spray is equally effective as EMLA cream in reducing immunization pain in school-aged children. Pediatrics. 1997 Dec;100(6):E5. 11 Benjamin AL, Hendrix TJ, Woody JL. Effects of Vibration Therapy in Pediatric Immunizations. Pediatr Nurs. 2016 May-Jun;42(3):124-9; discussion 30. 12 Berberich FR, Landman Z. Reducing immunization discomfort in 4- to 6-year-old children: a randomized clinical trial. Pediatrics. 2009 Aug;124(2):e203-9. 13 Redfern RE, Chen JT, Sibrel S. Effects of Thermomechanical Stimulation during Vaccination on Anxiety, Pain, and Satisfaction in Pediatric Patients: A Randomized Controlled Trial. J Pediatr Nurs. 2018 Jan - Feb;38:1-7. 14 Canbulat Sahiner N, Inal S, Sevim Akbay A. The effect of combined stimulation of external cold and vibration during immunization on pain and anxiety levels in children. Journal of perianesthesia nursing : official journal of the American Society of PeriAnesthesia Nurses. 2015 Jun;30(3):228-35. 15 Redfern RE, Micham J, Seegert S, Chen JT. Influencing Vaccinations: A Buzzy Approach to Ease the Discomfort of a Needle Stick-a Prospective, Randomized Controlled Trial. Pain management nursing : official journal of the American Society of Pain Management Nurses. 2018 Nov 10. 16 Sahin M, Eser I. Effect of the Buzzy Application on Pain and Injection Satisfaction in Adult Patients Receiving Intramuscular Injections. Pain management nursing : official journal of the American Society of Pain Management Nurses. 2018 Dec;19(6):645-51. 17 Russell K, Nicholson R, Naidu R. Reducing the pain of intramuscular benzathine penicillin injections in the rheumatic fever population of Counties Manukau District Health Board. J Paediatr Child Health. 2014 Feb;50(2):112-7. 18 Campbell L, Pillai Riddell R, Cribbie R, Garfield H, Greenberg S. Preschool children's coping responses and outcomes in the vaccination context: child and caregiver transactional and longitudinal relationships. Pain. 2018 Feb;159(2):314-30. 19 Canbulat N, Ayhan F, Inal S. Effectiveness of external cold and vibration for procedural pain relief during peripheral intravenous cannulation in pediatric patients. Pain management nursing : official journal of the American Society of Pain Management Nurses. 2015 Feb;16(1):33-9. 20 Cobham VE, McDermott B. Perceived parenting change and child posttraumatic stress following a natural disaster. Journal of child and adolescent psychopharmacology. 2014 Feb;24(1):18-23. 21 Sahiner NC, Bal MD. The effects of three different distraction methods on pain and anxiety in children. J Child Health Care. 2015 Jun 2. 22 Inal S, Kelleci M. Distracting children during blood draw: looking through distraction cards is effective in pain relief of children during blood draw. International journal of nursing practice. 2012 Apr;18(2):210-9. 23 Lee VY, Caillaud C, Fong J, Edwards KM. Improving vaccine-related pain, distress or fear in healthy children and adolescents-a systematic search of patient-focused interventions. 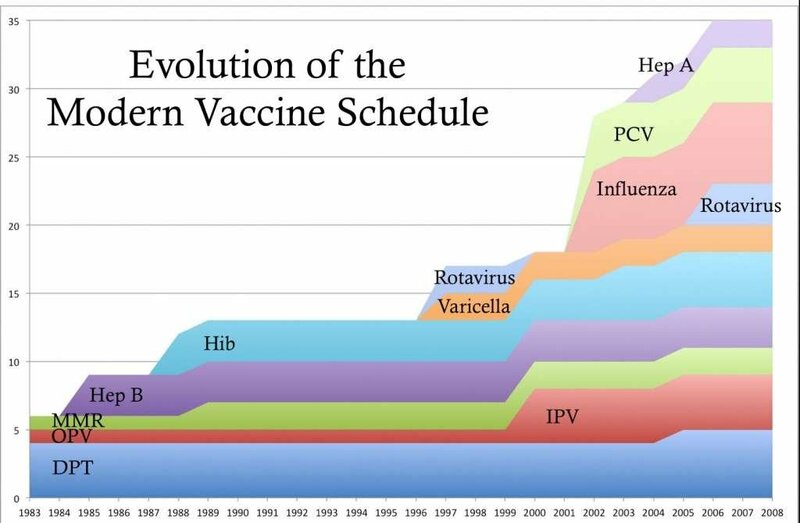 Human vaccines & immunotherapeutics. 2018;14(11):2737-47.